Encourage Your Kids to Be "Money Smart"
Are your kids on the right track to financial independence? For many of today's young adults, the weakest link lies in learning the basics. Achieving economic prosperity is difficult, and it's especially hard for young people who've never learned how to manage money. By instilling the habit of saving at a young age, offering positive encouragement, and providing financial education, we can prepare our community’s youngest members for brighter futures by helping them grow into financially capable adults. This means having the money skills to embrace an awesome future, and making our communities better. That’s why Community Financial takes our mission of helping youth so seriously. Coach. Remind your children to ask for help when they need it. And turn to your credit union when you want help. Our tradition of service makes us a natural partner in helping you gain financial security. From April 23-30 Community Financial celebrated Money Smart Week. Money Smart Week is a public awareness campaign to promote financial education across all age groups. Launched in 2002 by the Federal Reserve Bank of Chicago, the program is now active in more than 45 states. Find local events by visiting moneysmartweek.org. Remember it’s never too early or too late to learn about managing your personal finances! Find out more about our youth services and Student-Run Credit Union program at cfcu.org/youth. Today’s low mortgage rates present borrowers with an intriguing question: Should you make a big down payment to keep your loan as small as possible? Or should you borrow every penny you can while rates are in the basement? When you think about your down payment, balance is key. If you think you might sell the house within just a few years of ownership, having a large down payment exposes you to greater risk if real estate prices fall. However, a larger down payment can also mean lower monthly payments. When making these decisions, here are three questions to ask yourself. 1. Can I put 20% down? A down payment of 20% is something of a magic number. With 20% down, borrowers are no longer responsible for carrying Private Mortgage Insurance (PMI). PMI is a protection most lenders require to cover their investment in you should you not repay your loan. The premiums for this insurance are paid by you, either as a lump sum at closing or included with the mortgage payment, and thus make your monthly payment higher. 2. Can I get help to get there? There is a wide variety of home buyer assistance programs designed to help people reach that 20% threshold. These come in two forms: grants and delayed repayment loans. They’re offered by housing departments at all levels of government and frequently go unused because home buyers don’t think they qualify. Delayed repayment loans are similar. These are second mortgages held by an organization for a portion of the total cost of the house. They do not begin accruing interest until after you’ve paid off your primary mortgage, and some of them are forgiven after you’ve owned the home for a certain amount of time. These are available from housing authorities and private organizations all over the country. 3. Should I go over 20%? Making a very large down payment is an investment. Think of your mortgage like a savings account. You make an initial “deposit” when you make a down payment. A portion of your payment goes into your account each month while the rest goes to cover interest, which is the price you pay for living in your savings account. The return on your investment in the large initial down payment is the lower total interest you’ll have to pay. When deciding if you want to put more than 20% down, think of your mortgage rate like the rate of return. If you can put another $1,000 down, that’s $1,000 less you’ll need to borrow. If your interest rate is 4%, then the return on that investment is $40 in interest you don’t have to pay. On the other hand, you don’t have that $1,000 to invest somewhere else now. If your retirement account earns 5%, then that same $1,000 will earn $50 if invested there. Making the larger down payment will end up “costing” you $10 long-term. As with any other investment decision, weigh the pros and cons. It may have a comparatively low rate of return, but the risk is negligible. Unless the value of your house drops dramatically, you won’t lose your down payment. It can be a smart move to put down as much as you can, but make sure to leave your retirement fund and emergency fund intact. 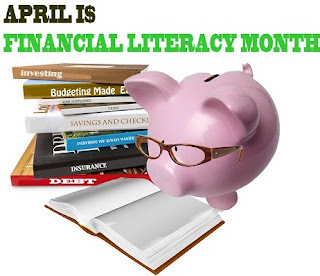 April is Financial Literacy Month – Celebrate Knowledge! “April showers bring May flowers” goes the old saying. It’s also a great lesson about the importance of saving – where weathering some light showers can pay dividends during the nicer days that are to come. April is Financial Literacy Month, and a great time to learn some important facts about finances. Whether you’re a parent looking to make talking money with your kids easier or a professional looking for a few tips, there’s always something to learn. Here are some fun activities you can do to expand your financial knowledge. Most people dread doing anything with their money. Unless there’s a serious issue, they don’t think about their bills or their paychecks. Money is scary, and not dealing with it is the easiest thing to do. If you want to improve your knowledge of finances this month, schedule a financial date night. It doesn’t matter if you’re partnered or on your own, it works the same way. Pick a day when there’s nothing good on TV, no major social events and no serious distractions. Put some light music on. Pour yourself a glass of wine. Sit down with your bills, your paycheck and anyone else who matters to your finances, and figure out where you stand. 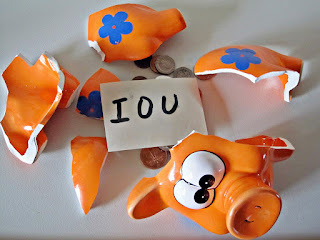 This can be a time to make dealing with your finances fun. Jot down some goals and think about how you can achieve them through your monthly budget. Make a financial date night part of your monthly routine! One of the best ways to build an efficient budget is to start from a list of priorities. What do you spend your money on each month? Make a list of all your expenses. Then, break them into one of three categories. The first category is the essential, non-negotiable bills. These are your big-ticket essentials that have serious consequences for missed payments. Your auto loan, your rent or mortgage, your utilities and your taxes go here. This is the bare minimum you need to bring in each month. The second category is the essential, negotiable obligations. These are unsecured loans such as credit cards and student debt. Paying these off is a priority after you make your essential payments, and you may have some room to negotiate and reduce these payments if things get dicey. The third category is the discretionary spending. This is everything else you spend money on each month. This is the best place to make cuts when you want to shift your priorities. Making a list of priorities is the first step to making solid plans and reshaping your own financial destiny. When you know where your money is going, you can start to move from financially existing to intentionally spending. That’s the beginning of improved financial literacy. Financial security means planning for the day when you can’t work anymore. Financial literacy is all about taking an active role in thinking about that future. There are a few concrete steps you can take in April to put yourself ahead of the game. If you’re not already doing so, contribute to your employer’s 401(k) program. Most employers will match contributions up to a certain level. If you’re not contributing enough to get the full amount of that match, you’re leaving money on the table. Set up automatic contributions out of every paycheck to automate that savings. April 15 is also the last day to contribute to an IRA. Even if you’ve already filed your taxes, you can file an amended return to get credit for your contribution. More importantly, you can add to your retirement nest-egg and take advantage of the tax benefits of those accounts. Speaking with a qualified financial planner can take some of the guesswork out of it. This conversation can also help you clarify what retirement looks like: what your goals are, how much you need to save to achieve them and what programs are available to help you get there. Taking an active role in your finances is the best way to get some peace of mind about your future. Take some time this month to reevaluate your finances and see if you’re on track!